So it's time! You're in Love! Your girlfriend is the most beautiful, funny, caring woman you will ever meet, and you're ready to shout out to the world that you've chosen your life partner, and best yet; the most romantic day of the year is just around the corner. 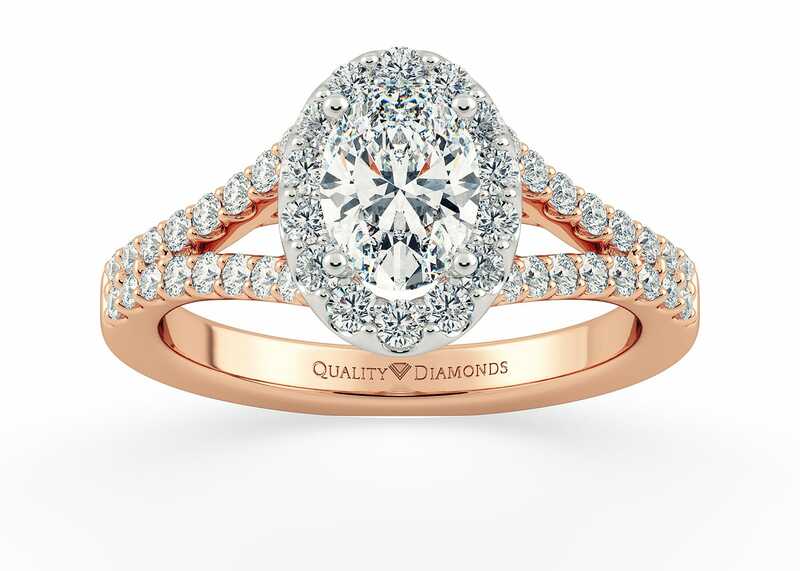 Here's our guide to finding the perfect engagement ring for a valentines' day proposal. Style choice is very personal. When three women walk into a jewellery store you can almost guarantee they'll come out with three completely different pieces of jewellery. And it's your task to decide exactly which engagement ring is perfect for your Valentine. Probably the first decision you will need to face is; Which Style Settings is she going to want to wear for the rest of her life? Broadly speaking there are two main engagement ring styles Solitaire and Multi-Stone. 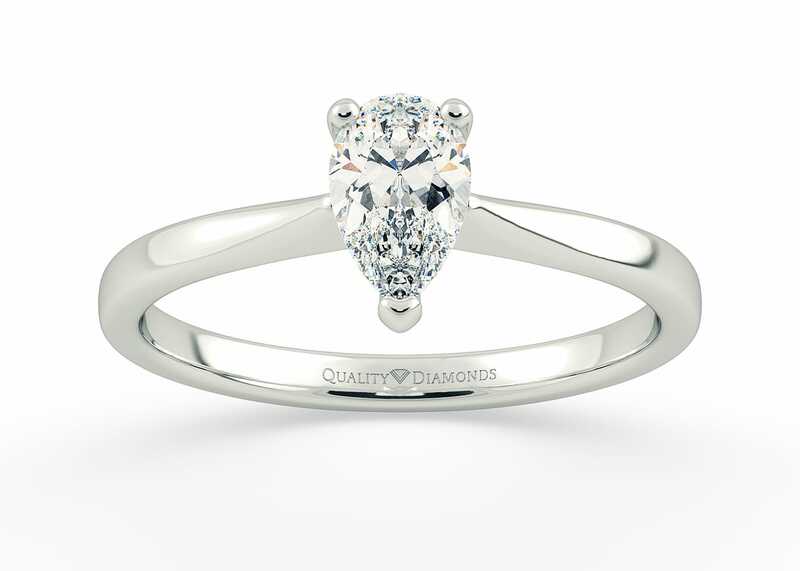 Solitaire simply refers to a setting made for one diamond, and one diamond alone. Solitaires are hugely popular for engagement rings and possess a pure unadorned beauty that will stand the test of time. If you choose a solitaire setting, it's important to ensure your diamond is of the highest quality. The single diamond will be the focus of everyone's attention so go for the best cut, colour and clarity you can afford. 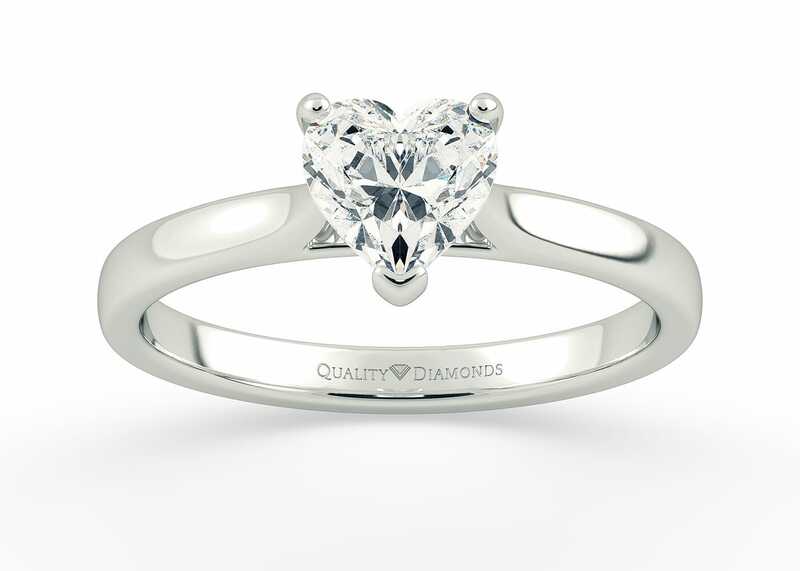 Subtle heart shaped detailing make our Cuore a popular choice for a Valentine Engagement Ring. Heart Shaped diamonds are also a popular choice for Valentine proposals. 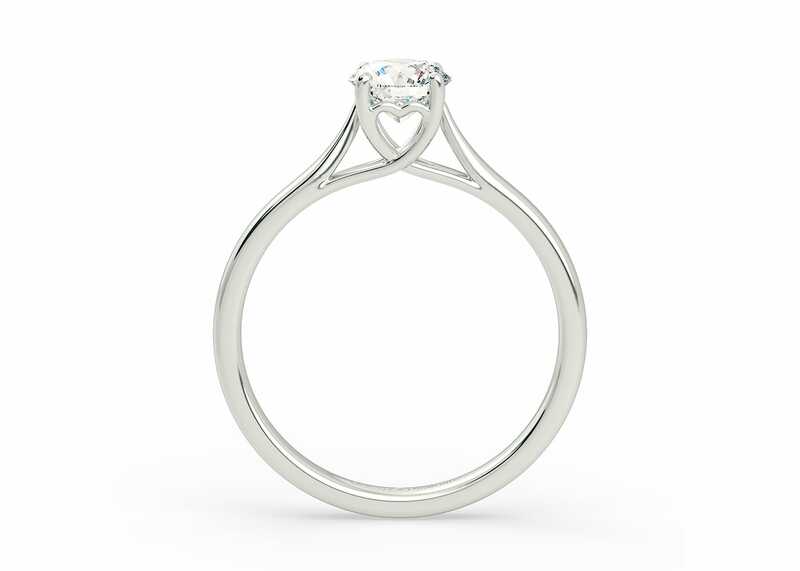 Clara is a stunning solitaire setting that allow the romantic heart shaped diamond take centre stage. Inspired by the Greek Goddess of Marriage, the shoulders of our Hera taper to emphasise the size and sparkle of the pear shaped diamond. Multi-Stone setting is a catch all term which means anything that isn't a solitaire. These settings give you much more freedom to create a Valentines' engagement ring that will stand out from the crowd. Diamond-Set Solitaire engagement rings have been popular for several years now. Diamonds are set in to the shoulders of the band leading the eye up tot he central stone. Diamond Set Hermosa features diamonds channel set in to a band which sweep up to hug the Round Brilliant Diamond in a reassuring embrace. Often representing Past, Present and Future Trilogy rings are also a strong contender for the title of "Perfect Engagement Ring for a Valentine's Proposal". The tapered baguette's in our Milada (meaning My Love in Czech), provide a wonderful contrast to the round brilliant centre stone. From the top our Romantico appears to be an classic princess cut engagement ring, but it holds a whimsical secret. Hidden beneath four elegant claws a pair of diamonds nestle within the folds of the precious metal. 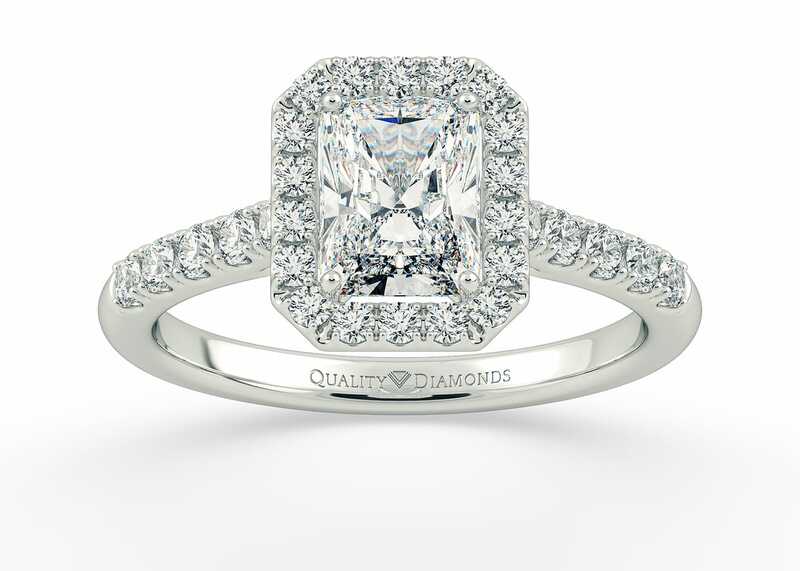 Following celebrity trends, Vintage style Halo settings have become very popular. A band of tiny diamonds encircles the centre stone, making it appear larger and adding extra sparkle and detail. An Emerald diamond set in Bijou perfectly captures the decadence of a bygone era. The split shoulders of the diamond set Adonia add even more sparkle and drama to this wonderful halo style. 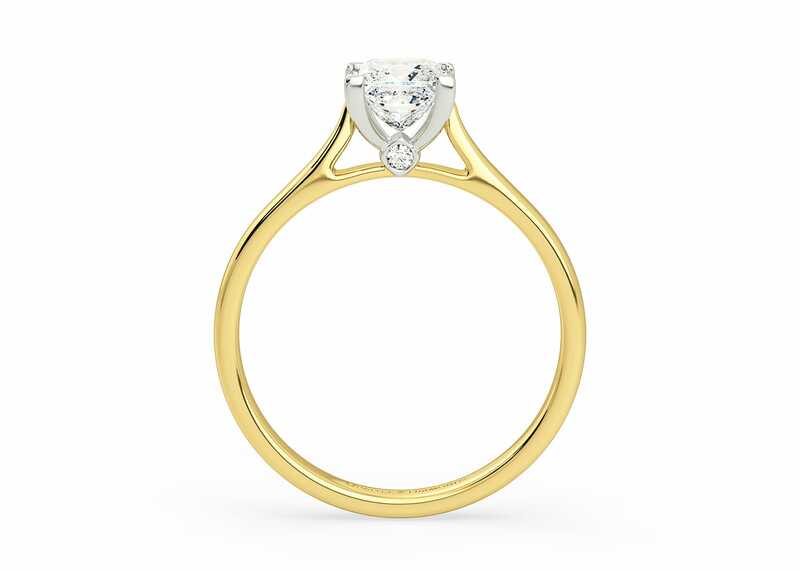 We especially love the Adonia set with a beautifully cut Oval diamond. Each of our gorgeous Engagement ring styles is available in all precious metals, so your starting point and first dilemma is colour... Is your Valentine a White, Yellow or Rose fan? What jewellery does she already own? Do you want to complement or contrast? 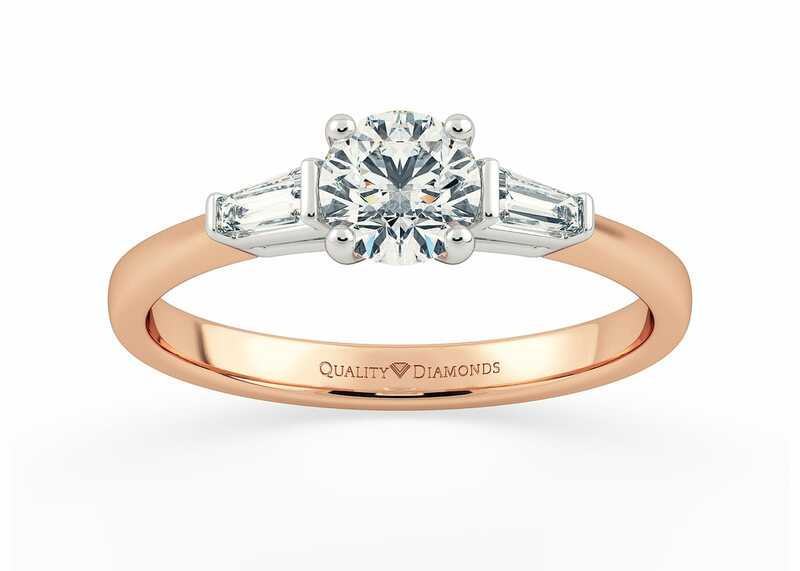 What could be more romantic for your Valentine proposal than Rose gold? Copper is alloyed with gold to create a warm rich pink colour that will not rust, tarnish or corrode. Or maybe your Valentine is more of a traditionalist? Yellow gold has long been favoured as the most sought after precious metal. It's rich burnished colour has been s symbol of wealth and prosperity for centuries. 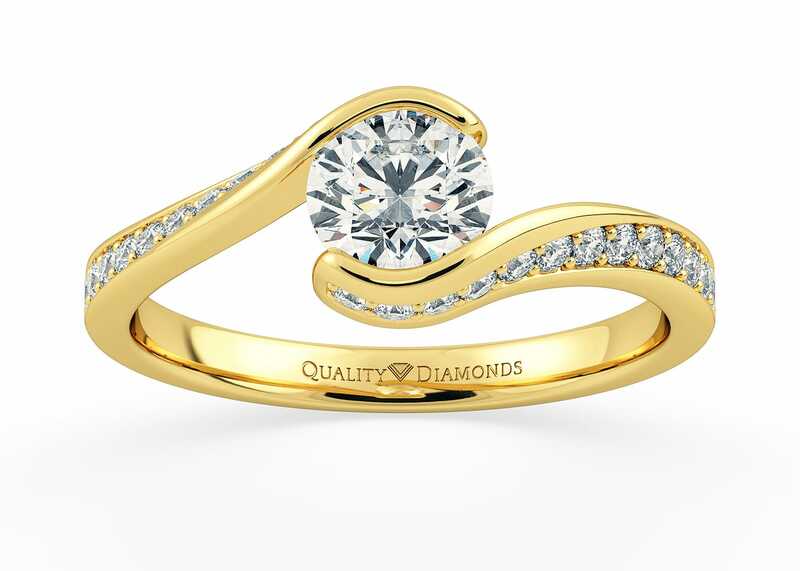 The final component for your perfect Valentine engagement ring is the diamond. Did you know that no two diamonds are exactly alike? Do you understand what makes a truly beautiful diamond sparkle? It's our mission to ensure that you get the very best diamond available for your budget. But What determines the best diamond? Is it purely size? Maybe you have heard something about the 4Cs? We've dedicated a whole section of our website to help you understand quality diamonds. BUT, if you prefer a more personal experience, our Diamond Experts are available to help guide you through the process of creating the perfect engagement ring for a valentines day proposal.